Put Apple, Sony or IBM on the shelf for a minute and think about investing in the next company that has a stake in every sale regardless of the brand you choose? In other words, buy the “chip” or technology that’s inside of each device instead of trying to figure out which phone or computer manufacturer is going to win the battle. That’s what InvenSense (INVN) is all about; investing in companies like this is a vote for what is next on the road to technological advancements and trends that consumers are hungry for. It wasn’t that long ago that the tablet burst onto the scene. Now…that seems “old hat” as companies are racing to deliver wearable technology with smart watches and web-based glasses… it is exciting to imagine what’s coming next! In order to find a leader in the technology space, investors should look for where the next great idea or cutting edge technology is coming from but also who will help them get there and not solely focus on the end product. 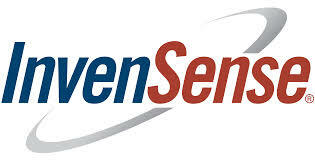 A company that has recently caught our attention is InvenSense, Inc. (INVN). This stock has taken its shareholders on a roller coaster ride the last several years. Year to date it is down -10.5% but has posted a three-year annualized return of +15.77%. The analyst community currently has recommendations on INVN all over the board with them averaging out to a ‘moderate buy’. 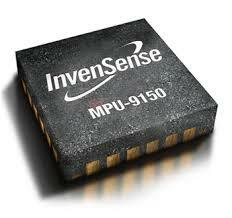 InvenSense Inc. (INVN) was founded in 2003 and is based in San Jose, CA… just a 3-iron or so away from Apple. (Coincidence???) Once you start connecting some dots you will quickly see that INVN is moving and positioning themselves in the right area. Behroos Abdi, President & CEO, brings a solid track record and years of industry experience to the company. InvenSense, Inc. develops, designs and markets: micro-electronic mechanical systems (MEMS) gyroscopes for motion tracking in consumer electronic devices. Some common devices that their multi-axis gyroscope technology can be found in are: smartphones, tablets, video gaming systems, cameras, smart televisions, navigation devices, health and fitness devices and toys. INVN splits its technology into four different groups: Mixed-Signal circuitry, Nasiri-Fabrication, Advanced MEMS gyroscope and MotionProcessing library /MotionApplication software. The company’s primary competitors are: Sony Corporation, STMicroelectronics N.V., Epson Toyocom Corp., Freescale Semiconductor, Inc., Rohm Co., Panasonic Corporation and Robert Bosch GmbH. On May 1, 2014 INVN released its quarterly numbers with mixed reviews. Earnings came in at $0.07 missing consensus estimates of $0.10, guidance going forward also was lighter than what investors where looking for as the company announced it expects revenue to be between $63 million – $66 million in the first quarter while the consensus estimate was for $69 million. With a price currently at $18.42 per share the trailing P/E ratio is a robust 269, it’s not surprising that investors put some selling pressure on the stock with the recently announced numbers. The forward P/E ratio comes in with a more attractive and realistic number at 19.77. The company remains confident moving forward with strong leadership and cutting edge technology. Leadership stated that they have seen an increase in the use of their gyroscopes in several different applications. They also have a strategy moving forward to develop a new generation of ‘always-on’ context aware applications and provide low power usage with increased performance in future products. With a new trend in the technology space to wearable devices (glasses and watches), INVN is extremely well positioned to be the leader in this space. Currently 40% of the INVN’s revenue comes from the smart phone market. Their three largest customers are: LG, Samsung (SSNLF), and Xiami. Currently INVN’s motion-tracking chips are being used in the Samsung Galaxy S5 phone, which has been very well received by consumers around the globe. With China introducing LTE (Long-Term Evolution, 4G) there is a huge opportunity for INVN as Chinese consumers will be upgrading their older phones to ‘new generation’ 4G units. Rumors continue to spread that INVN will be chosen as the provider for the OIS (Optical Image Stabilization) in the new Apple iPhone 6 that is expected to be released later this year. If this does come to fruition INVN shares could quickly rise due to the increased revenue and earnings that would result from a relationship with Apple (AAPL). With the recent pull back in price due to their weak quarterly results investors could be presented with a very attractive buying opportunity. They currently have an impressive customer base and with the possible addition of Apple and expansion into China, the future returns for INVN could be massive. The stock is currently trading around $18 per share with a 52-week range of $11.88 to $24.34. It is approximately 24% below its 52-week high and 59% above its 52-week low. While the most recent announcement was not what the market was looking for it was certainly not devastating. The current P/E ratio indicates a significant premium when compared to the industry average of 24.9, but again…buying this stock is a bet on what’s ahead; unlike an energy or utility stock where you’re likely content hitting singles and getting a sleepy dividend each quarter. The stock recently has moved below its 200 day moving average (INVN Chart). Over the last two years every time it has dipped under the 200 day moving average it has bounced back with attractive returns. Recent price movement has driven the stock significantly below its 50 day moving average and we believe this could be a tremendous entry point to pick up INVN “on sale”. Both the fundamental and technical analysis indicate that INVN is not currently a stock that traditional investors are rushing into at this time (that could be great for you!). The challenge with a stock like this is that you can’t solely evaluate it on past data and returns. You have to look forward and attempt to anticipate where the market is going and where future opportunities will be presented. We are currently looking at INVN as a buying opportunity that offers investors considerable upside. Patience will need to be exercised but when the stock does move it will most likely do so quickly….so be nimble! As with any ‘recommendation’ it’s important to remember that we are not aware of your personal situation or risk tolerance so obviously consult with your financial advisor to see whether this is a specific fit for your portfolio or not. Again…we’re buyers of this stock on any market dip/correction. If you have specific questions on this company or how it could fit into your portfolio…ask us! This entry was posted in Asset Allocation, Earnings, Equities, InvenSense, Investing, Investor education, INVN, Stocks, Technology, trends, Wearable Technology and tagged Apple, Asset allocation, Finance, Investing, Investment, Investor, Mr. Market, Stock Market, Wall Street by Matt@DearMrMarket.com. Bookmark the permalink.